Buy this item and earn 610 points valued at £6.10. Our top quality and very beautiful library table is a joy to behold. 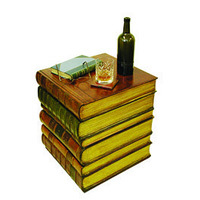 It can be used as a small side table and is also very comfy to sit on.